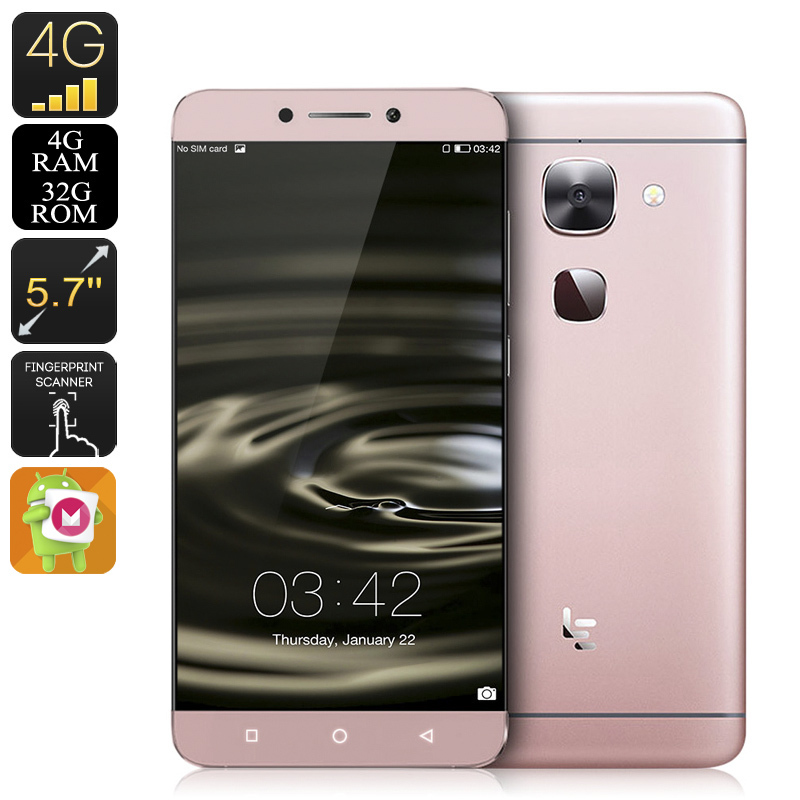 Successfully Added LeEco Le Max 2 Smartphone - 2K 5.7 Inch Screen, Snapdragon 820 CPU, Android 6.0, 4G, Fingerprint, 4GB RAM, 21MP Camera to your Shopping Cart. With its stunning 5.7 inch display that shows over 500 pixels per inch, the LeTV LeEco Le Max 2 offers you the perfect platform to enjoy all your movies, apps, and latest mobile games in stunning quality. Featuring 2K technology its display brings forward wonderful visual images, portraying every photograph and video in its finest detail. Whether you are looking at pictures, watching an HD movie, or playing the latest games available from the App store, the LeTV LeEco Le Max 2 delivers vivid colors and will truly enhance your smartphone's user experience. Hidden under the hood of this remarkably designed smartphone lays some serious hardware that brings along the strength and speed to deal with the most demanding situations. Featuring a Qualcomm Xiao Dragon 820 CPU this Chinese smartphone holds one of the most advanced mobile processors out there. With its flagship 64 Kryo architecture and being clocked up to 2.15GHz, the LeTV LeEco Le Max 2 guarantees a smooth, durable, and lightning fast user experience. Along with its Adreno 530 GPU and 4GB of RAM this smartphone is guaranteed to run the most demanding apps, games, and videos without dropping a single frame. Featuring 4G connectivity this Chinese smartphone supports the fastest data connection available, allowing you to download apps and stream HD movies in the blink of an eye. Holding up to 32GB of internal storage the LeTV LeEco Le Max 2 offers plenty of space to save all your beloved multimedia files and documents, taking away the fear of running out of storage space anytime soon. Holding an astonishing built-in 21MP camera this phone allows you to snap mesmerizing pictures and record sensational footage in stunning 4K resolution. Do not let a single moment pass by unnoticed with this high-quality camera. Whether you are having a pleasant time during a simple night out with friends or are enjoying stunning views on your next holiday – this 21MP camera allows you to capture all those special and unforgettable moments in life in amazing detail. Additionally, this Chinese smartphone has been equipped with an 8MP front camera – the perfect tool for all selfie lovers to capture all the amazing adventures that lay ahead for you and your best friends. The LeTV LeEco Le Max 2 comes with a 12 months warranty, brought to you by the leader in Chinese smartphones as well as wholesale electronic gadgets..
great phone, with all the function you need on a smart phone, strong processor and fast.it's really can compare any Samsung phone. the only problem I don't like is that it did not have external SD card, that a such a disappointment.